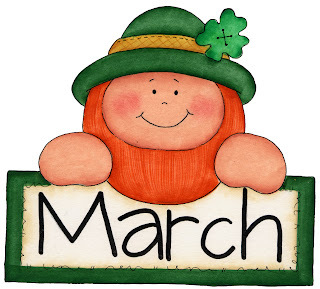 Welcome to March! Parents if you have not already done so, please make sure to sign up for priority registration for next school year. We are filling up quick and do not want you to miss out. Thank you to all our parents who donated to the Ronald McDonald House Charity. We raised almost $100.00! The classroom who raised the most money is Kindergarten! Woo Hoo! They will receive an Ice Cream Party. Picture days are scheduled this month on Wednesday and Thursday, March 18th and 19th. Pictures will be taken from 8am to 11am. If your child does not attend on one of these days, you are welcome to come in on Thursday, March 18th. We are having an Open House on Saturday, March 21st from 10am to 1pm. Refer a friend and you can receive a reduction in tuition. Check out the details in the front office. If you missed our Kindergarten Open House last month, you can come on the 21st and speak with Ms. Jennifer, our kindergarten teacher. We are offering a Family Referral Discount! Tell your friends we will be having an Open House on Saturday, January 24th from 10am to 1pm. As a licensing requirement, please remember to always sign your child in and out with a full signature on your child’s attendance sheet. Also, please have your children walk with you at drop off and pick up times. For the safety of everyone, your child is not allowed to enter and exit the building without you. This entry was posted in Oceanside. Bookmark the permalink.